PROS is an award-winning Magento eCommerce development, design, marketing, and Magento SEO company. Our expertise includes Magento ecommerce marketing, application hosting, development, support, design, SEO, extension installation, modules, shipping, marketplaces (integration with shopping feeds), Product Listing Ads (Google PLA) and payment systems (Authorize.net, PayPal). We can help ecommerce businesses on all Magento products like Commerce Cloud, Magento Commerce, Order Management, Business Intelligence Pro and Extensions Marketplace. We will manage your SEO, Google AdWords, Google Shopping, Amazon & eBay marketplaces for your ecommerce project. Why Use Magento eCommerce Solutions? For more info, contact PROS Internet Marketing consultants for a FREE consultation or call us today at 619.567.9322. Established on open architecture and with the support of several third-party extensions, Magento grants an exceptional degree of flexibility and options to interface with third-party web applications. The significant benefit of Magento’s Community Edition is the fact that it is free and with the addition of extensions can render some of the absent functionality that Enterprise Edition offers. To ensure a quick and smoother development process that also produces a faster return on investment, Enterprise Edition is the best choice. Enterprise Edition was designed especially for sites that boast large numbers of customers, transactions and products to bring notable enhancement to the efficiency of the platform by the use of a Full Page Caching system. In addition, our experience has taught us that adding an increasing amount of extensions to add functionality to Community Edition can cause a detrimental affect to performance. Although Enterprise Edition is based around the core of Community Edition, it carries significant spectrum of more features and functionality including customer segmentation with targeted offerings, minimum advertised price, return management authorization, price and promotion permission, an enhanced catalog and content management system, call centre software with assisted shopping and staged merging and rollback of content. For both B2C and B2B sales, Magento is a great platform as it can be easily configured to handle the catalog, ordering, and marketing needs unique to B2B processes. This involves customer-based catalogs and pricing, B2B payment options – invoicing and purchase orders, quote creating, authentication and corporate accounts, scheduled deliveries, configurable products, and so on. You can even program your site as a hybrid B2B/B2C marketplace. Our team of Magento programmers has custom development experience ranging from shipping modules for UPS/USPS/Fedex/DHL to third-party shipping modules and extensions. OME can help you customize your online store to suit your business needs using the powerful Magento Commerce framework. If you have an existing Miva, Websphere, Netsuite, .NET ASP, osCommerce store and are looking to migrate to Magento, we can help you. We have expert Magento Commerce developers and programmers who can work with you to export your data and import it into Magento. We also provide Magento consulting services to eCommerce retailers and companies who currently have a Magento installation. 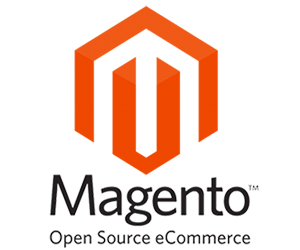 Our Magento developers can troubleshoot any Magento Commerce problems your existing Magento cart may be experiencing.